Guitar chords with a flurry of strummed strings – sonorities we now regard as commonplace – revolutionized the sound of music at the end of the 1500s and opened up a new universe of musical thought in Western culture. Melody and counterpoint had reigned supreme throughout the Renaissance as the principal musical aspects of a composition, but around 1600 their role was challenged by a startling new concept – harmony. Whereas previously music consisted of horizontal melodic threads interwoven into a lush polyphonic fabric (in which harmonies arose merely as an incidental byproduct), a new school of thought in the seventeenth century held that a work could be governed from the outset by its harmony. Chords were the starting point of a composition, not an afterthought. The vertical alignment of sounds, as opposed to the horizontal, became paramount. No instrument better represents this radical transformation than the guitar, which was at the forefront of this aesthetic revolution from the horizontal to the vertical. This shift is born out in the guitar’s early notational systems, performance techniques, musical repertoire, and functional roles in society. Equally importantly, the guitar found itself in the center of the social turmoil and upheavals of the seventeenth and eighteenth centuries. 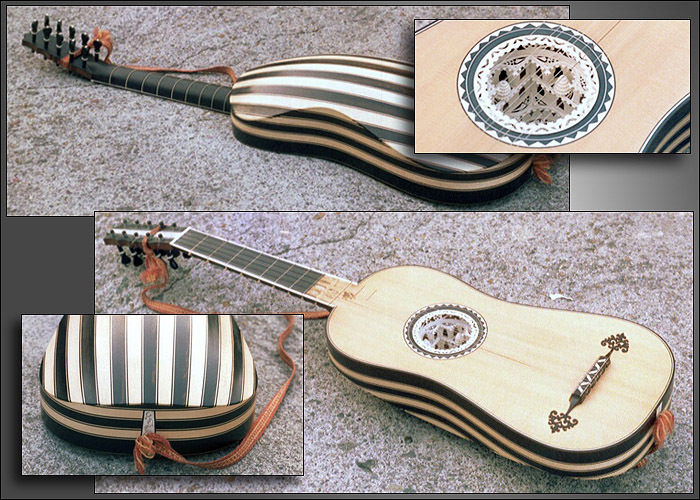 In the 1500s, the guitar was a lowbrow instrument that was overshadowed by the more sophisticated vihuela and lute. But in the 1600s, the guitar was elevated from the culture of the street to that of the royal courts.